For most of Sheila Robinson's career, she worked in the automotive industry in accounting, sales and web design. However, with a bachelor's degree in Business and Computer Information Systems and a love for technology, research and creative writing, her interests shifted into freelance writing. When Sheila isn't involved with writing, she plays video games. She bought an Atari 2600, and it was love at first sight. Since then she has bought several game systems and will continue to do as long as she can hold a controller. Besides her interests in writing and gaming, she has a passion for science and technology. Sheila attended California Polytechnic University, Pomona and received a Bachelor's Degree in Business Administration/Computer Information Systems in 2002. The track she took emphasized computer programming and web design. To fuse her love for technology and writing, later she took some technical writing classes at Cal State Fullerton. 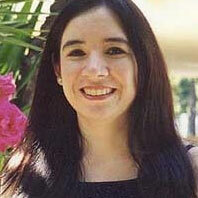 Sheila now utilizes her technology skills as a web designer and freelance writer. On the side, she does online auctioning through eBay, plays video games, guitar, and attends events with friends through the SCA.